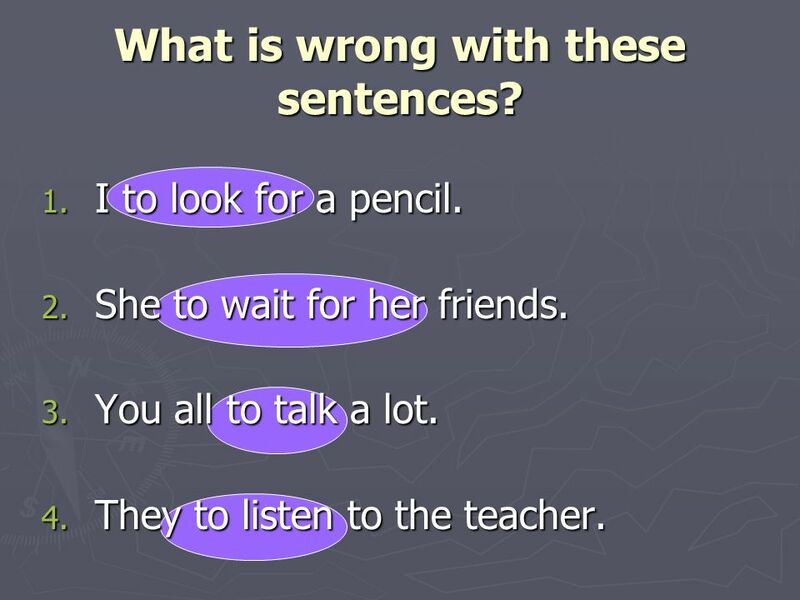 3 What is wrong with these sentences? I to look for a pencil. She to wait for her friends. You all to talk a lot. They to listen to the teacher. 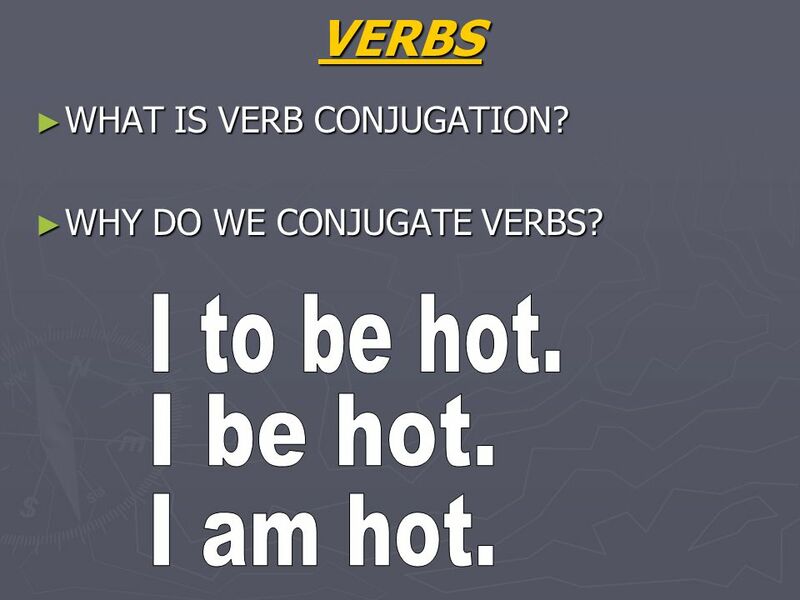 4 VERBS I to be hot. I be hot. I am hot. 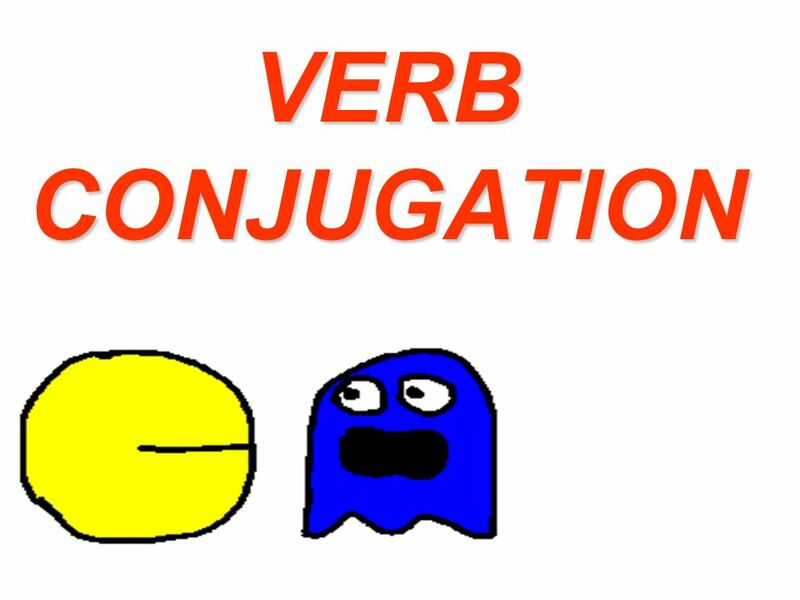 WHAT IS VERB CONJUGATION? 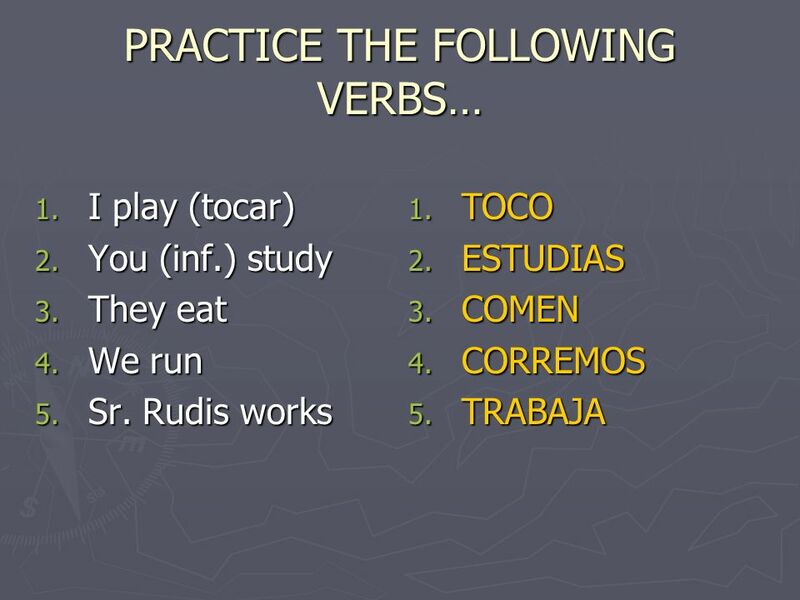 WHY DO WE CONJUGATE VERBS? I to be hot. I be hot. I am hot. 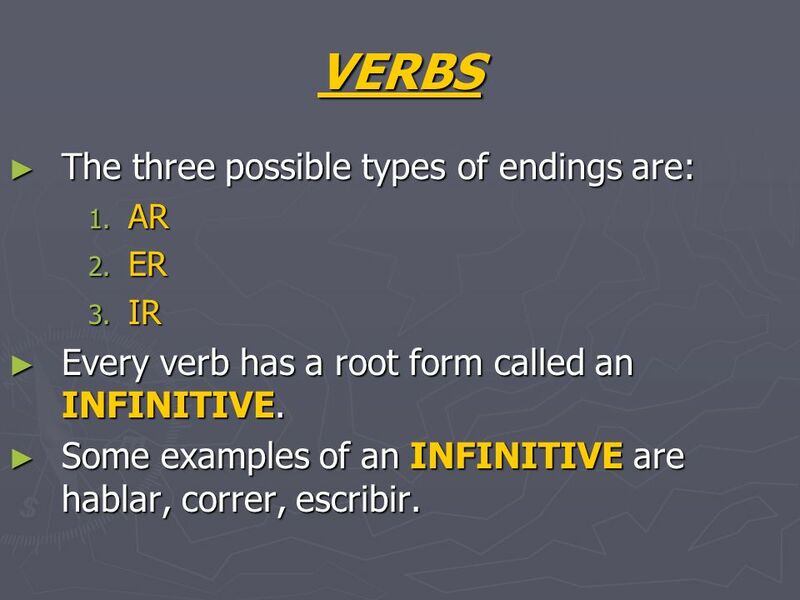 IR Every verb has a root form called an INFINITIVE. Some examples of an INFINITIVE are hablar, correr, escribir. 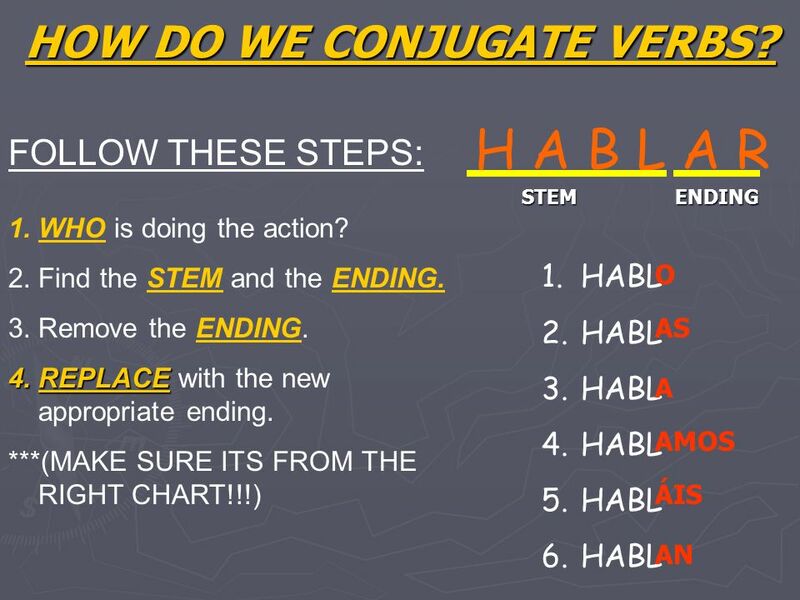 8 HOW DO WE CONJUGATE VERBS? 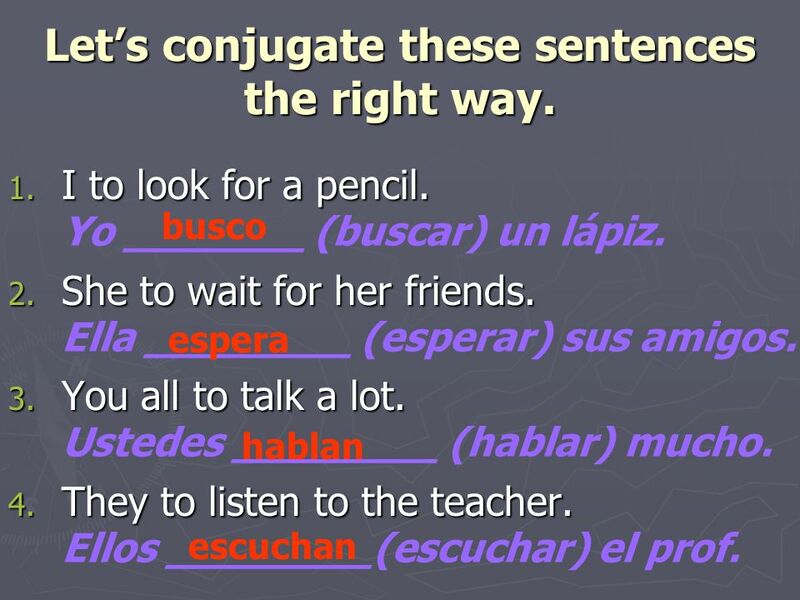 11 Let’s conjugate these sentences the right way. 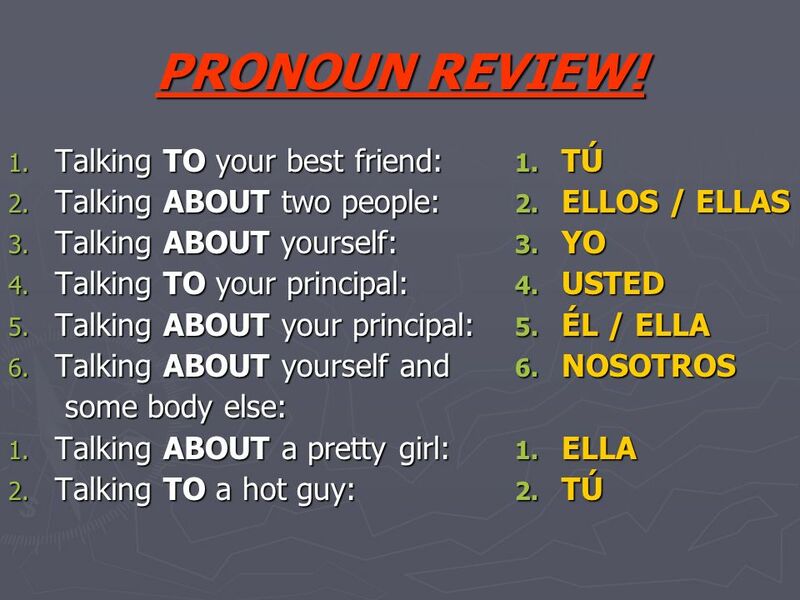 Download ppt "PRONOUN REVIEW! Talking TO your best friend: Talking ABOUT two people:"
Telling what you have to do and what you are going to do. What are verbs? 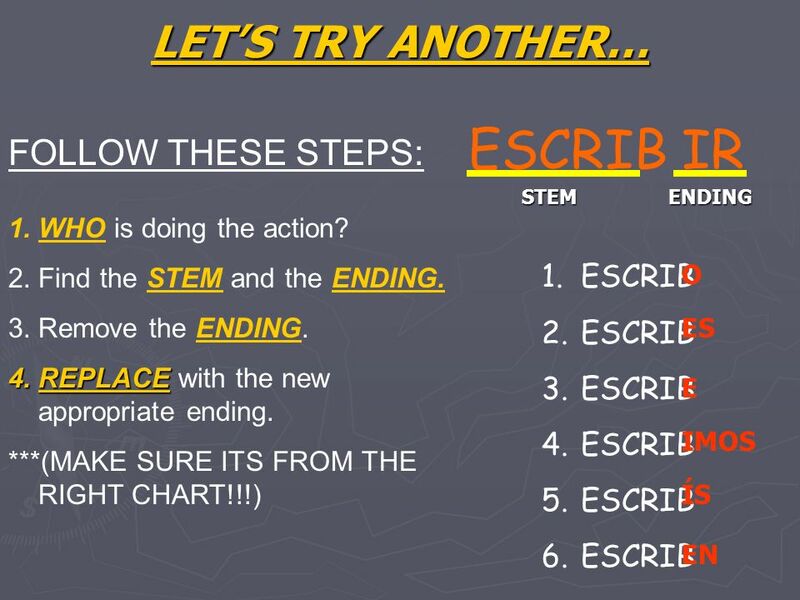 Verbs are actions!!!! IF YOU CANT DO IT, ITS NOT A VERB!!! Regular Present Tense -er and –ir Verbs. 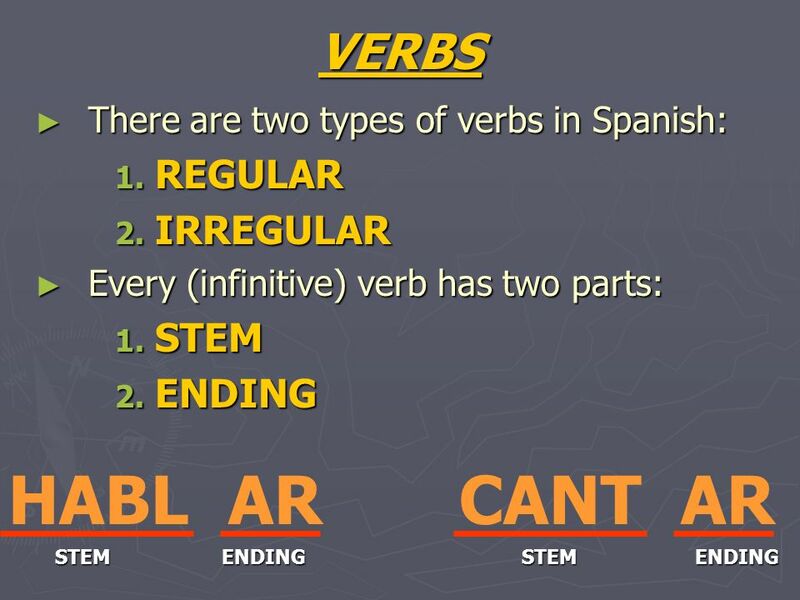 There are three types of regular verbs in Spanish: verbs that end in –ar (you know already) verbs that end in. ¡Los VERBOS –ER!. 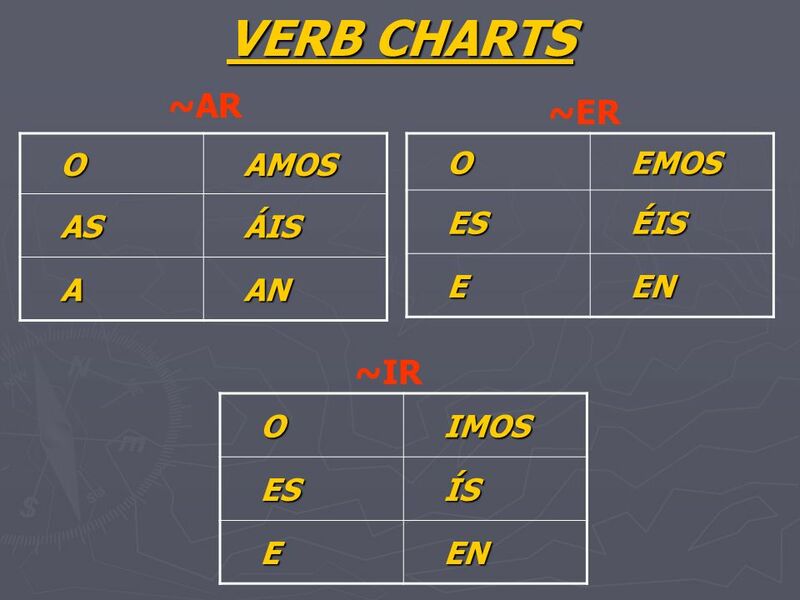 Repaso There are 3 different types of verb endings in Spanish. Bailar cantar Verbos “ar’ Maestra Diaz Español 2 escuchar patinar. Los pronombres sujetos  Subject pronouns refer to the subject of the sentence, or the person/thing doing the action of the verb. Ellos(as)They Ustedes. Yo! To conjugate an –ar verb when the subject is YO, you use the ending –o. Slice off the –ar at the end and plug in –o! 1)Caminar 2)Camin / ar 3)Camino. The Fun and Exciting World of AR VERBS!!!! Spanish 1.